Between January and the end of June 2011, there were 25 executions in 9 states. During the same time period last year, there were 29 executions. Of the executions this year, 8 were carried out using the drug sodium thiopental, while 17 involved a new drug, pentobarbital. Earlier in 2011, Hospira Inc., the sole U.S. manufacturer of sodium thiopental, announced that it would no longer manufacture the drug, forcing states to search for foreign sources or alternative drugs for their lethal injections. Alabama, Arizona, Mississippi, Ohio, Oklahoma, Texas, and South Carolina have used pentobarbital instead of sodium thiopental in their executions in 2011. Ohio is the only one of those 7 states to use pentobarbital as the sole drug in its lethal-injection process. In the first half of 2011, 18 clemencies have been granted, commuting the defendant's death sentence to life without parole. Fifteen of the commutations were in Illinois, where Governor Pat Quinn signed a bill repealing the state's death penalty. The repeal goes into effect today, Juy 1. Seventy-six percent (76%) of the cases resulting in executions so far this year involved the murder of at least 1 white victim, even though generally whites are victims of murder less than 50% of the time. 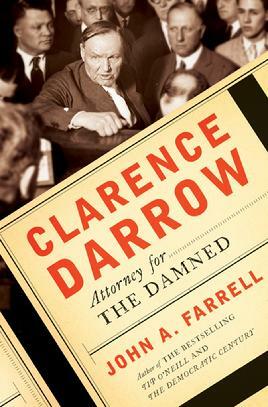 Read more about BOOKS: "Clarence Darrow: Attorney for the Damned"
NEW VOICES: "The Conservative Argument to Abolish the Death Penalty"
In a recent op-ed in the Chicago Tribune following Illinois's abolition of the death penalty, author and attorney Scott Turow (pictured) outlined three major conservative reasons for opposing capital punishment: it is a failed government program, it is a waste of money, and it doesn't fit with the idea of limited government. Turow served on former Governor George Ryan's Commission on Capital Punishment, which found numerous problems with the state's death penalty. In highlighting the failures of the system, Turow said, "For conservatives who believe government is too large, too inefficient and too unwieldy to deliver health care, or even the mail for that matter, it should come as no surprise that government efforts to justly select those worthy of death has been a moral disaster." On the issue of costs, he addressed the high cost of death penalty trials and appeals and the lack of deterrent effect, saying, "if the death penalty clearly served a practical purpose like saving lives, these increased costs might be worth it. But in Illinois we have experienced a steady decline in our murder rate since Gov. Ryan first declared the moratorium on executions." Turow closed by noting that some of our European allies abolished the death penalty as a reaction to the horrors of World War II. "The conservative-libertarian view that says that the powers of government must be strictly limited supports drawing a clear line prohibiting a democratic government from ever lawfully killing any of the citizens from whom it draws power. That way a regime that vanished its political enemies or executed despised minorities would mark itself, whatever the legal rigamorole, as an outlaw." Read more about NEW VOICES: "The Conservative Argument to Abolish the Death Penalty"
EDITORIALS: Illinois Death Penalty Repeal Called a "Victory for Justice"
Read more about EDITORIALS: Illinois Death Penalty Repeal Called a "Victory for Justice"
On March 9, Illinois Governor Pat Quinn signed into law a repeal of the death penalty, replacing it with a sentence of life without parole. The governor also commuted the death sentences of the 15 people on the state's death row to life without parole. The ban on capital punishment comes after an eleven-year moratorium on executions declared by former Republican Gov. George Ryan and makes Illinois the 16th state to end the death penalty. It also marks the lowest number of states with the death penalty in more than thirty years. The Illinois repeal is an indication of a growing national trend toward alternatives to the death penalty, and an increased focus on murder victims' families and the prevention of crime. In light of the current economic difficulties, the public has increasingly recognized that resources used for the death penalty could be diverted to higher budgetary priorities, such as law enforcement and victims’ services. Many murder victims’ families were among the strongest supporters of the Illinois repeal, and the high costs of the death penalty were influential in its passage. The law requires that state funds used for the death penalty be transferred to a fund for murder victims’ services and law enforcement. A recent editorial in the Chicago Tribune urged Gov. Pat Quinn to sign the bill to end the death penalty in Illinois. The paper noted that former Gov. Bill Richardson signed a similar bill in New Mexico, despite previously saying he supported the death penalty when he came into office. Richardson said that his mind was changed after studying the issue and seeing “too many mistakes” and evidence that the punishment was applied disproportionately to minorities. The Illinois bill would divert state funds used for capital punishment to a fund for murder victims’ services and law enforcement. The editorial stated: "Illinois [has] sent at least 20 innocent men to death row . . . .Taxpayers have spent more than $122 million in 10 years to send 15 new prisoners to death row, but the moratorium remains in place because the system can't be trusted." Gov. Quinn has until March 18 to take action on the bill. Read full editorial below. A group of over 60 former state and federal prosecutors, judges, and other law enforcement officials recently wrote to Governor Pat Quinn of Illinois urging him to sign the bill passed by the General Assembly to repeal the death penalty. The law would also transfer state funds used for the death penalty to a fund for murder victims' services and law enforcement work. The group cited the death penalty's ineffectiveness in deterring violent crime and its high cost of implementation as the primary reasons for ending the death penalty. The letter stated, " Throughout Illinois, law enforcement officials are struggling to find needed dollars for police, forensic investigations, and aggressive prosecution of a wide range of criminal activity. The vast sums that would be spent on the death penalty in the years ahead are sorely needed for other, more effective law enforcement purposes." The letter also cautioned against retaining the death penalty in order to obtain guilty pleas in exchange for life sentences, saying that "using the death penalty as an instrument of coercion has led to false pleas and erroneous convictions." And merely limiting the death penalty, the group said, " would not solve the underlying flaws that inevitably occur when the authorities are under pressure to win convictions in high-profile cases." See below for list of signatories.